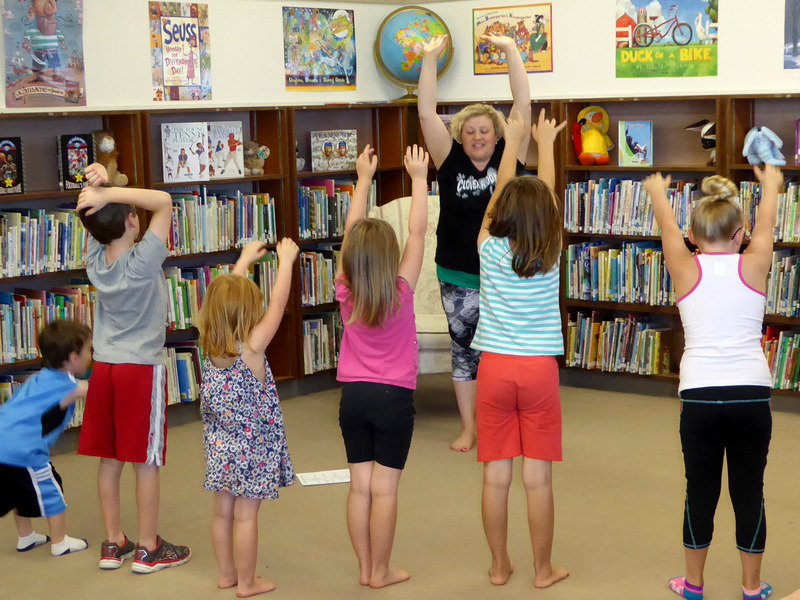 This week’s summer library program introduced students to yoga. The weekly reading program combines reading with incentives and special programs. Principal Elisa Stephens led her students through a variety of poses with names like the Superman and the warrior to introduce them to yoga for fitness and relaxation. 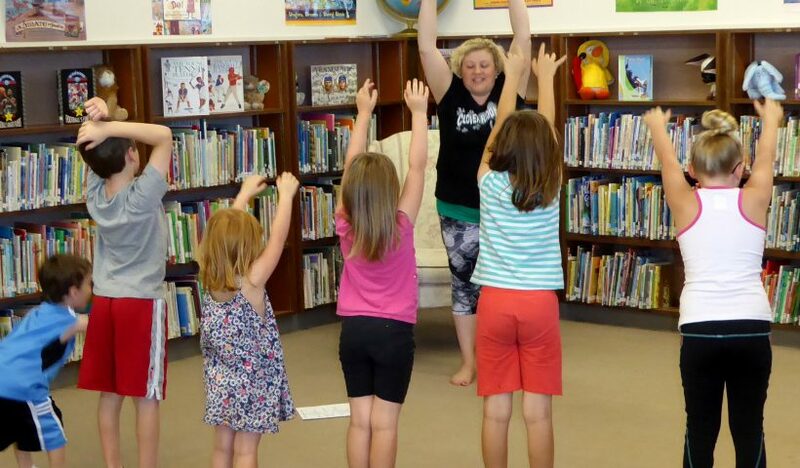 The Clover Ridge summer library program is winding down. The last program on the schedule is next Wednesday at 10 a.m. Students will turn in reading records for prizes and be treated to Steve Peterson’s Magic Show.